where you find lots of restaurants,cafes,souvenier shops. We are also very very close to Ferry Terminal 'Tomarin'. enjoy diving, snorkering, relaxing on the beach in the sun. 1 Day Trip can be done. In winter period 'Whale watching' is extremely popular among the tourists. We have separate female and male dorms, plus two private rooms. 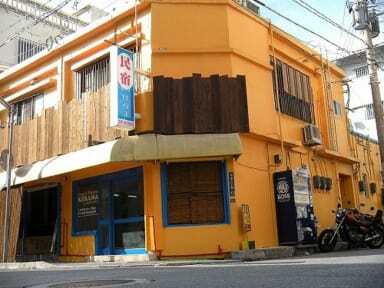 We are a great place to stay with relax atmosphere and helpful staff. Enjoy our High speed free internet & free wireless in every room. We have free lockers to store your valuables in. Rental bicycle and coin-operated laundry are also available. 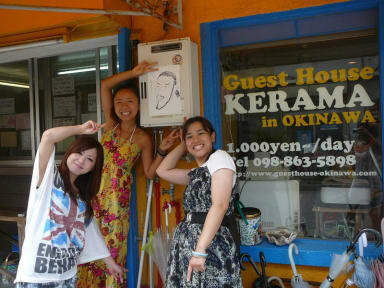 We aim to make your stay in Okinawa one to remember! * Friendly staff speak English. 2 minutes walk from Ferry Terminal 'Tomarin'.